BANGKOK, Thailand, 9 January 2019 – This November, the Bangkok Art and Culture Centre (BACC) and Sunpride Foundation will jointly present SPECTROSYNTHESIS II- Exposure of Tolerance: LGBTQ in Southeast Asia (SPECTROSYNTHESIS II), the largest-ever survey of regional contemporary art that explores lesbian, gay, bisexual, transsexual and queer creative history in Southeast Asia and beyond. Opening on 23 November 2019 at the BACC, the exhibition will feature spectacular works created by more than 50 artists including new works that have never been shown before, with most of the artists coming from Southeast Asia. SPECTROSYNTHESIS II is the second stop of Sunpride Foundation’s touring exhibition, following the success of its acclaimed SPECTROSYNTHESIS – Asian LGBTQ Issues and Art Now that was presented in Taiwan in 2017.
personal perspectives or experiences, human rights and diversity advocacy or making unconventional statements, artists throughout the region have produced a significant and kaleidoscopic range of contemporary works exploring LGBTQ themes and issues. SPECTROSYNTHESIS II will bring together these artists and examine topics close to their heart through their works, as well as the tensions of them coming to terms with the complex and sometimes contradictory cultures around them. Thai artists who will be featured in SPECTROSYNTHESIS II include Arin Rungjang and Jakkai Siributr who are creating work specially for this exhibition, as well as Michael Shaowanasai, Sornchai Phongsa, Piyarat Piyapongwiwat, and many others who will be presenting their works. From Southeast Asia, Dinh Q. Lê (Vietnam), Maria Taniguchi (Philippines), Ming Wong (Singapore) and Danh Vō (Vietnam) will be featured, whilst Anne Samat (Malaysia) will be presenting a newly commissioned work at the exhibition. Looking beyond the region to present the theme in a global context, the likes of Sunil Gupta (India), Ren Hang (China), Hou Chun-Ming (Taiwan), Ramesh Mario Nithiyendran (Sri Lanka), Lionel Wendt (Sri Lanka), Martin Wong (USA) and Samson Young (Hong Kong) will also be showcasing their works at the exhibition, with Balbir Krishan (India) presenting a commissioned work. “As a committed advocate for the LGBTQ community in Asia, we are thrilled to co-host our second large-scale LGBTQ-themed exhibition with BACC. SPECTROSYNTHESIS II underscores Sunpride Foundation’s commitment in fostering a stronger and more equitable world for the LGBTQ community and their allies, and together with BACC, we remain tireless in our work to make a positive impact in our society,” says Patrick Sun, Executive Director of Sunpride Foundation. SPECTROSYNTHESIS II- Exposure of Tolerance: LGBTQ in Southeast Asia is curated by Chatvichai Promadhattavedi, former Director of the BACC, and will run from 23 November 2019 to 1 March 2020 at the BACC. The exhibition will feature a rich programme that includes film screenings and performances to engage a broader audience in this pertinent topic. 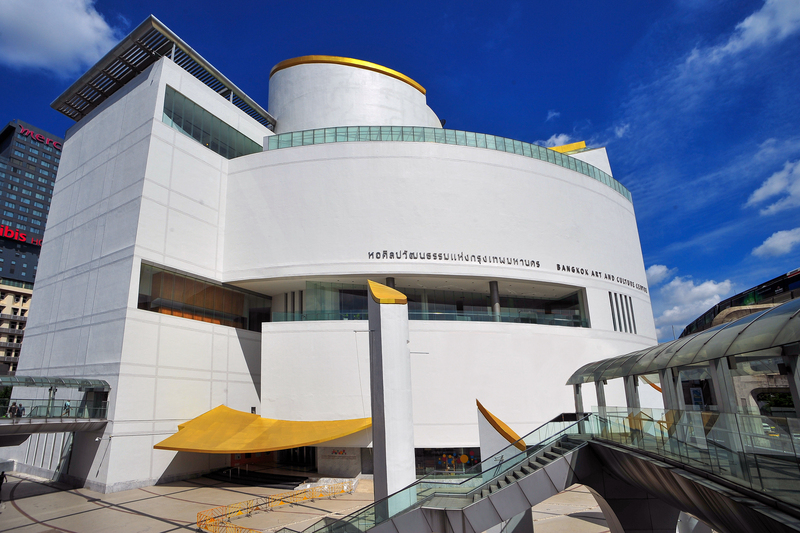 The Bangkok Art and Culture Centre (BACC) is a 24,000 square-metre, 12-storey mid-town arts and cultural centre with galleries, performance spaces, a library and meeting rooms. Its aim is to give contemporary art the right physical infrastructure and to enhance the role of art in the city’s cultural life. Conceived and advocated for since the 1970’s by a network of artists and art lovers, the Centre has since been built by the City of Bangkok and now independently operated by the BACC Foundation. During the full decade since its opening in 2008, it has attracted diverse groups of audiences: from traditionalist to contemporary, as well as the lifestyle crowd. With programmes that not only include visual arts but also theatre, film, music, and literature, the BACC has become a place of exchange where all can cross path and meet, and where new dialogue emerge between artists in different media and their audiences. Sunpride Foundation was launched in 2014 with the mission to embrace and promote the rich creative history of LGBTQ community. The foundation aims to foster a stronger, healthier and more equitable world for LGBTQ people and their allies; and to encourage and inspire a generation of young artists to take action and create positive changes to the LGBTQ experience by exhibiting and preserving art that speaks to the society at large.